Everyone wants to create e-learning that looks like it was designed by a professional—clean, compelling, and inspiring. But not everyone has access to professional graphic designers or an ample budget to shop for pro-designed graphic assets. But there’s good news. There are straightforward design principles you can follow to create great-looking e-learning, no matter your resources or budget. We’ve rounded up our go-to guides on visual design plus a bunch of free templates and graphic assets that’ll help you solve this challenge. Essential Guide to Visual Design: In this comprehensive e-book, we walk you through the components of good visual design and show you how to avoid common missteps. 3 Essential Visual Design Concepts: These three basic visual design techniques will help you use graphics to direct your learners’ attention and support learning goals. 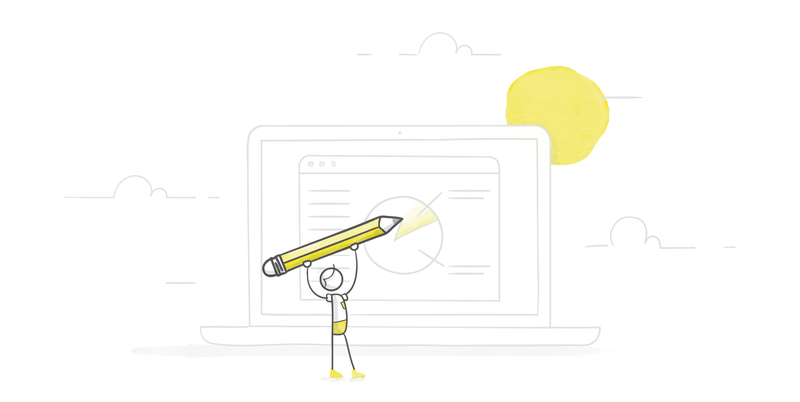 Your Ultimate Guide to Choosing Graphics for E-Learning: Here’s what you need to keep in mind when you’re choosing graphics for your project. 6 Ways to Save a Bad E-Learning Design: Did you inherit a terribly designed course from a colleague? Here’s how you can bring it back to life with some simple tricks. How Do I Choose a Design for My E-Learning Course? : Get useful guidance on choosing the right design approach for your course. Thankfully, no e-learning designer ever has to start from scratch. There are tons of free templates, graphic assets, and more that you can use to achieve a sophisticated look even when you’re short on time. Templates: The E-Learning Heroes community is chock-full of freebies for all the tools in Articulate 360 and PowerPoint. You’ll find all kinds of designs that are easy to repurpose in your own projects. Course Assets: E-Learning Heroes also has tons of icons, button sets, images, and backgrounds you can use to spice up your course. Content Library: If you subscribe to Articulate 360, you get unlimited access to 2+ million stock assets, including images, videos, icons, templates, and characters. (And if you don’t subscribe, you can get a free trial to take a look!). 10 Minute E-Learning Template Transformations: In this series, Trina shows you how she quickly and easily transforms free templates to get the look she’s aiming for—while still taking advantage of the layouts and interactions in the original. Steal These 6 Slick Editing Tricks to Make the Most of Free Graphics: Here’s how you can easily tweak graphics with tools you probably have on hand. Need more help? Post your question in our Building Better Courses forums and get help and feedback from hundreds of thousands of e-learning developers all over the world. It is hosted via LMS and IE is the browser Marie Acree Instructional Designer and Developer [cid:image004.jpg@01D2C429.59593F10] Amedisys Inc. 3854 American Way, Suite A Baton Rouge, LA 70816 Office: 866.941.6080 | ext. 4070 Home Office-Orlando, Fl marie.acree@amedisys.com www.amedisys.com Got People questions? We have answers! Click here to access our new FAQs. Or contact askhrpeopleteam@amedisys.com for your HR-related questions. I find that I can apply some app design methodologies when creating courses in Storyline. Google's Material design guidelines are very comprehensive and tools such as the Colour Tool https://material.io/color/ give designers a neat way of testing the appearance and accessibility of their colour choices across a number of common slide layouts. Thanks for the link. I find this to be incredibly useful!